This issue also highlights ways to prevent falls in the home, Independent Living Units and super porridge recipe from Maggie Beer! Click to read the latest edition online. 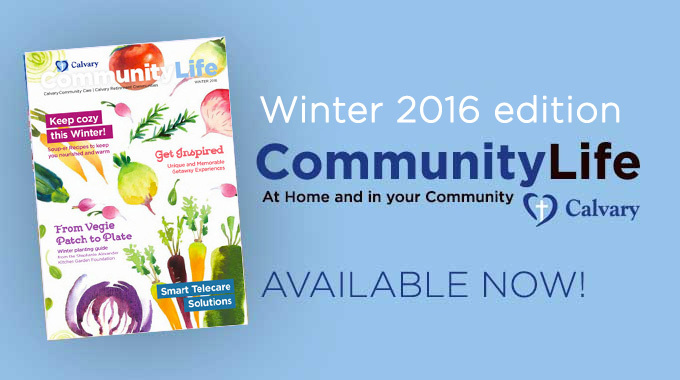 Visit the Calvary Smart Home showroom to pick up your free copy of the Community Life magazine. 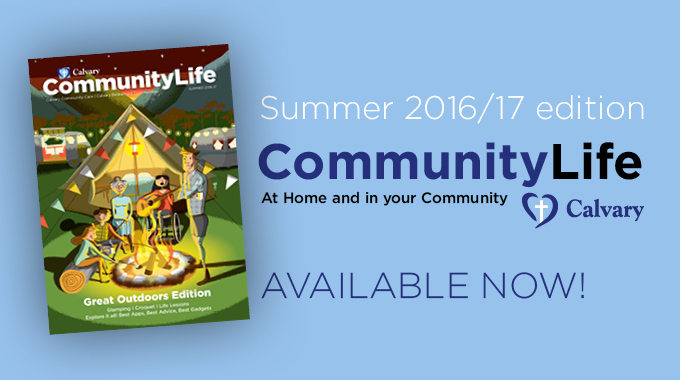 Published quarterly, Community Life promotes positive ageing, good health and community connections. It also aims to help families navigate the aged care and disability support services system. Designed as an accessible publication Community Life features larger than normal font size, high contrast layouts and white space. If you or a family member needs support at home, our friendly Community Care advisors are ready to help.